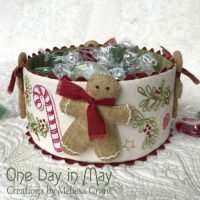 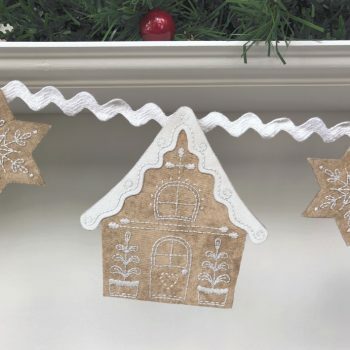 – A sweet, decorative swag for the festive season, with simply embroidered stars and three gingerbread houses featuring candy canes, potted trees, spiraling vines and double-sided fabric rooftops. 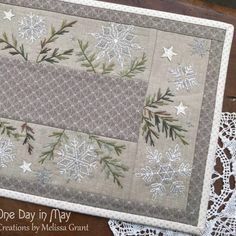 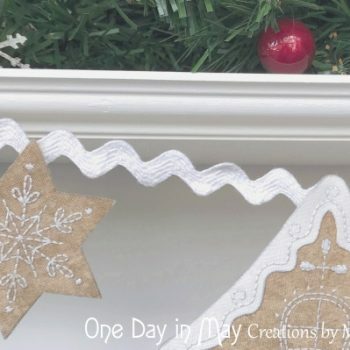 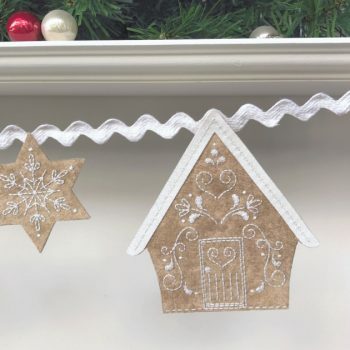 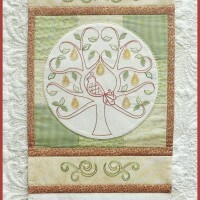 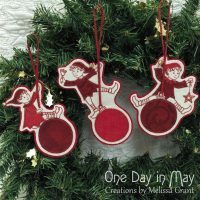 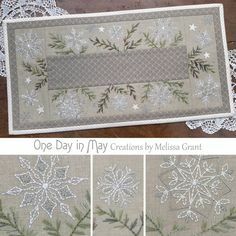 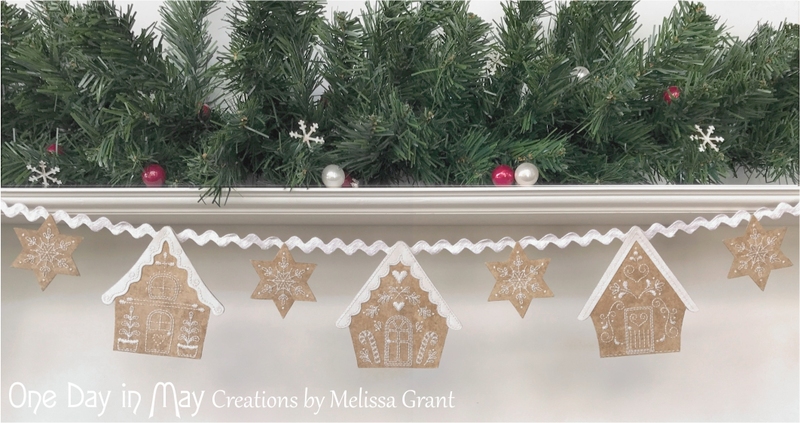 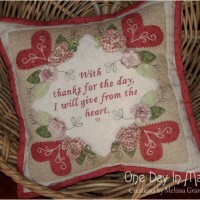 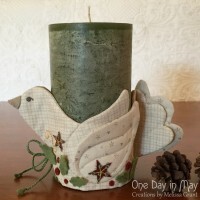 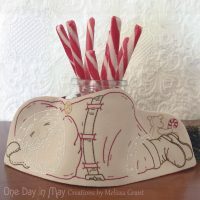 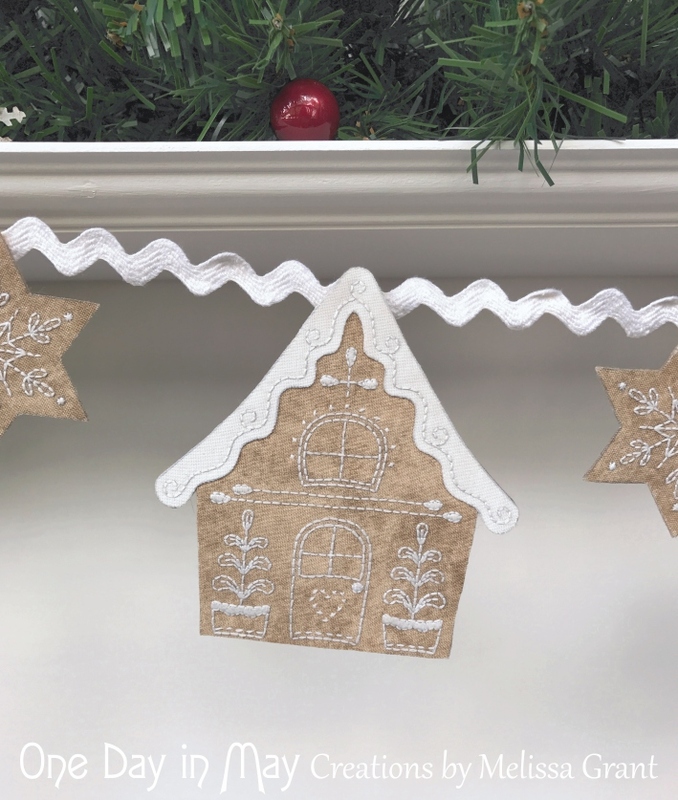 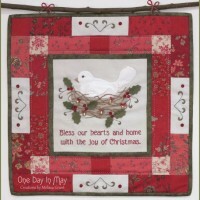 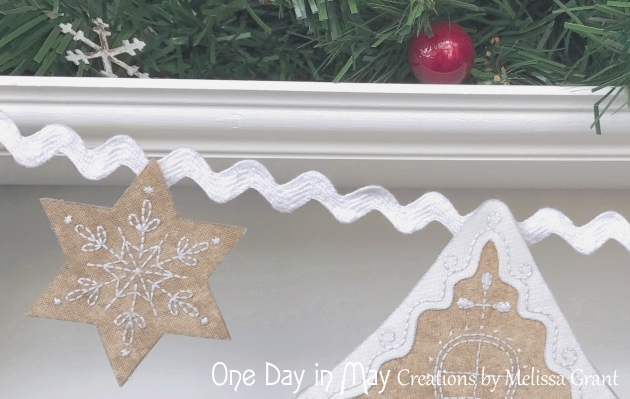 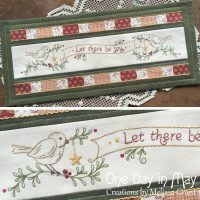 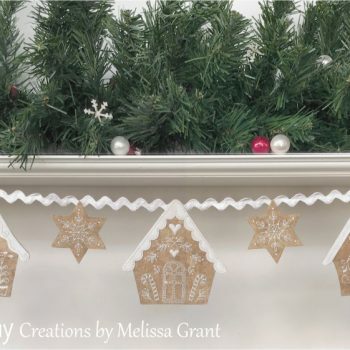 Add a little embroidered Christmas to your mantle piece, book shelf, window and more. 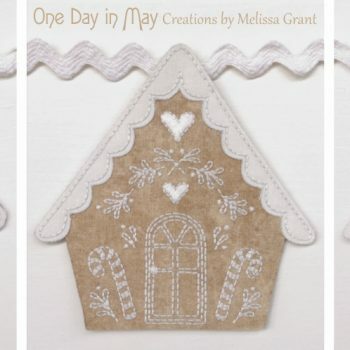 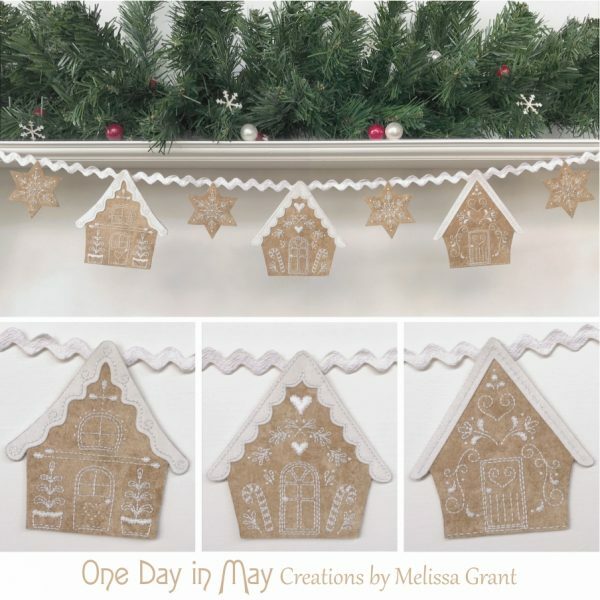 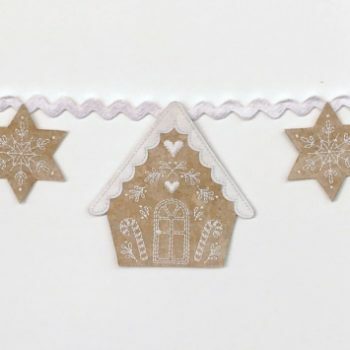 – The gingerbread houses and stars are embroidered, backed with felt, then carefully cut out. 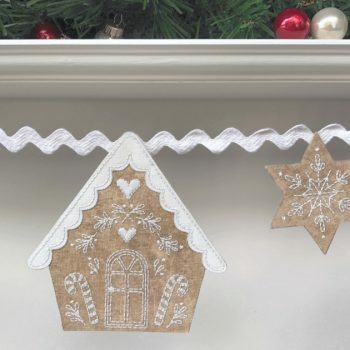 The rooftops are cut from easily made double-sided fabric, and are attached to the houses with central embroidery. 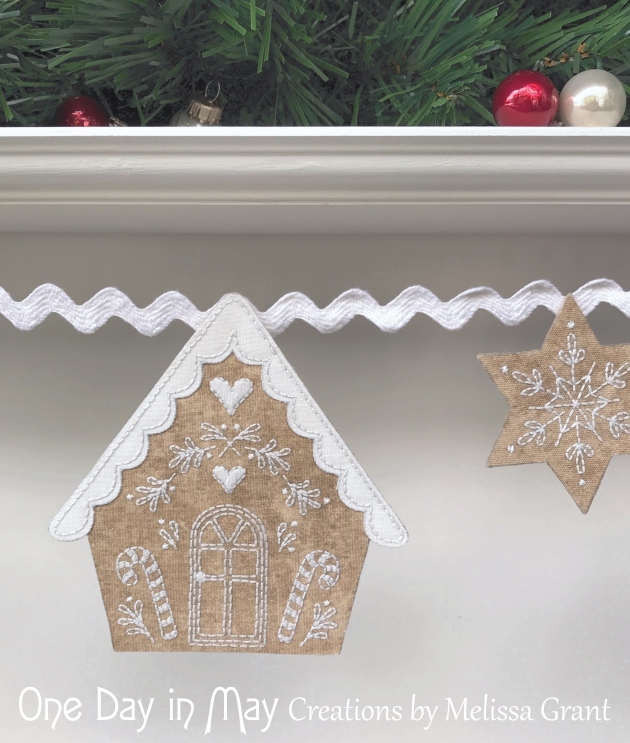 With their edges left unstitched, the rooftops are able to sit up from the houses a little and cast a small shadow. 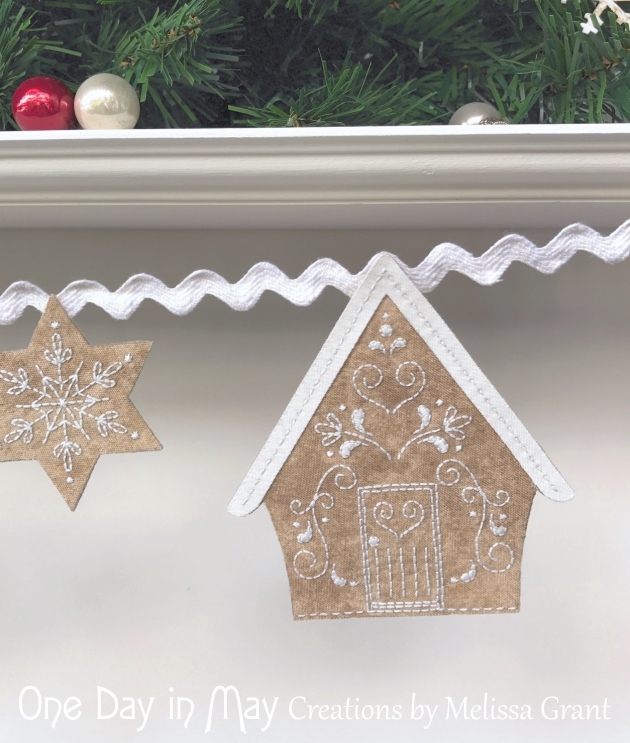 The top of each house and star is attached to a length of ric-rac to create a swag. 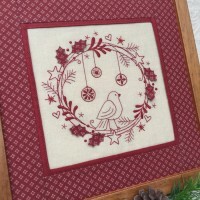 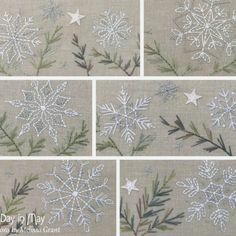 – This pattern includes an IRON ON TRANSFER so you won’t have to spend any of your stitching time tracing. 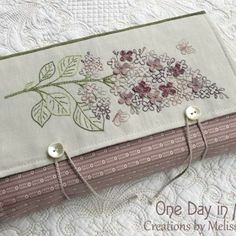 You’ll also find a full sized pattern sheet and comprehensive illustrated and photographic instructions. 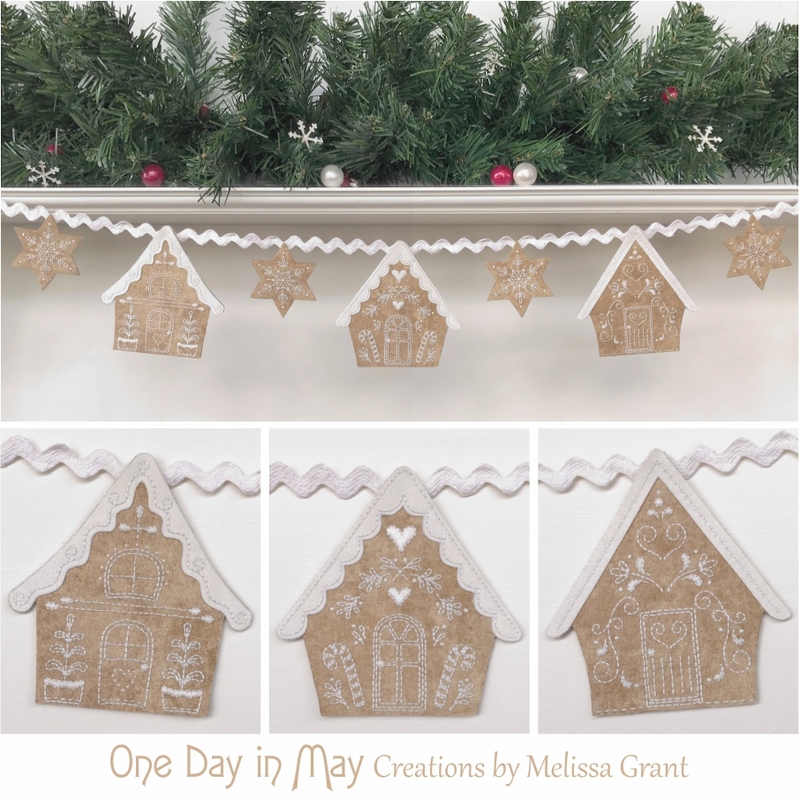 Please scroll down to find the “Gingerbread Lane” requirements list.